Michael van Gerwen won his third World Championship crown with a 7-3 win over Michael Smith on New Years Day at the Alexandra Palace, London. ‘Mighty’ Michael van Gerwen claimed the 2018/19 World Championship and his third title with a 7-3 win over Michael Smith. 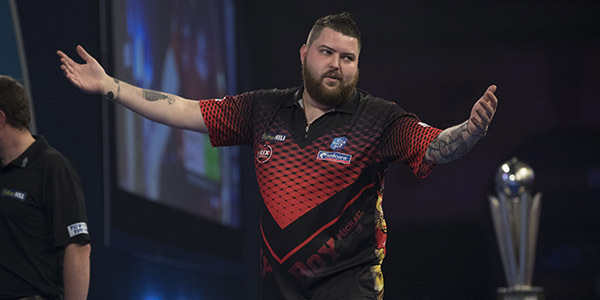 Van Gerwen won the William Hill World Darts Championship for a third time with a 7-3 victory over Michael Smith at London’s Alexandra Palace on Tuesday. 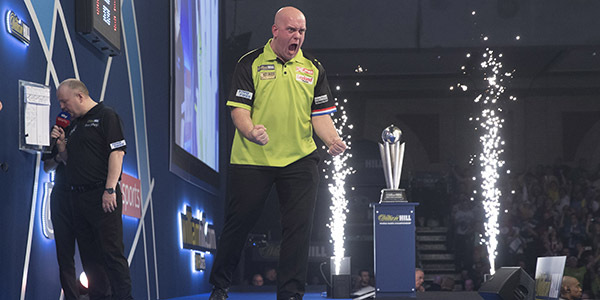 The culmination of darts’ biggest-ever event saw world number one Van Gerwen produce a dominant display in which he led throughout in the replay of the 2018 Premier League Final. The Dutchman opened up four-set leads at 4-0 and 6-2, with a determined Smith unable to work his way back into the contest. In the first World Championship final since 1983 to feature two players under 30 years of age, Van Gerwen completed a 7-3 triumph to walk away with the £500,000 top prize and the coveted Sid Waddell Trophy. “I’m gutted about how the game turned out, I just didn’t get going,” said Smith. “I’m annoyed with myself for how I played, and if I took my chances then maybe it would’ve been a different game. “I tried way too hard but it’s my first World Championship final and I guarantee it won’t be my last. “I guarantee that one day I will lift this trophy.